We are the wedding media specialists. At Wildfire we are passionately dedicated to helping people celebrate life...in particular, inspiring and assisting them to create the wedding of their wildest dreams! 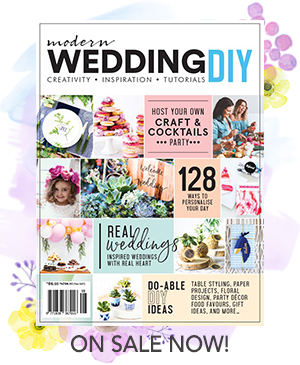 With over 1.5 million fans on Facebook, in the top 25 Facebook pages of all Australian companies, 200,000 followers on Instagram, 2 million YouTube views, 3.1 million monthly Pinterest views and over 2.1 million page views per annum, Modern Wedding is the most respected online wedding media brand with unparalleled reach and access to the millennial bride. Established in 1990, Wildfire Publishing began inspiring the creation of beautiful and passionate weddings and quickly became the definitive “number one source for bridal inspiration” with its hugely successful range of wedding magazines before powering into the digital age with Australia’s first comprehensive wedding website and social media channels. ...They will go 'beyond the beyond'. We absolutely love helping the two very different markets we serve - couples and advertisers. Our number one priority is developing the most stylish, inspiring and cutting-edge content for our brides. You want ideas? We have the best and most beautiful. So beautiful they will make you cry. When we give our brides the most fabulous ideas and inspiration in a practical format, then we can also assist them to find the most appropriate suppliers and products for their wedding. We work closely with our advertising partners to help them communicate their unique qualities via our integrated media channels of social media and online. We think of our advertisers as friends...because they are. We've known many of them for over 20 years! We get a huge kick out of bringing them business success - you might think that sounds corny, but it's true. There is nothing more encouraging than an email or phone call from an advertiser telling us how happy they are and how much business we have brought them. Why are we the most successful wedding media business in Australia? With style, passion, enthusiasm and beauty.